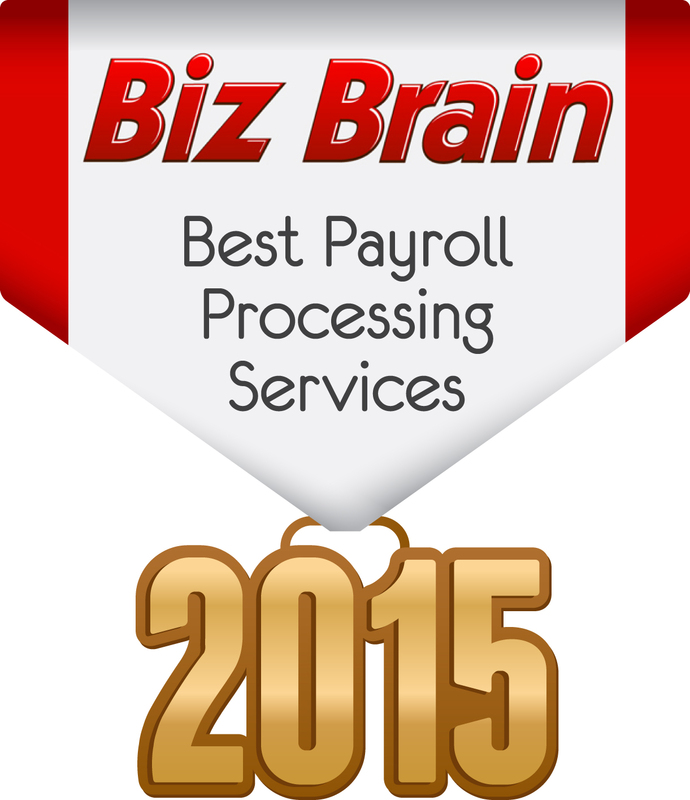 This article is a guide to the top 10 payroll processors on the market in 2015. It’s essential to make sure your employees get paid on time, that your company is compliant with the ACA, that you are properly tracking PTO, attendance, and more. Streamlined payroll services can help you perform these tasks, automate most of the work, and give you peace of mind, while freeing you up to actually run the business. While some of these services can be quite expensive, most of them are far cheaper than hiring somebody to do your company’s payroll. We determined the top ten payroll services through a features-based ranking methodology explained at the end of the article. SurePayroll is a Paychex company that offers extensive payroll processing features to small businesses. SurePayroll features many services a la carte that can be added to the payroll service, including: 401k, health insurance, pre-employment screening, and worker’s compensation services. Their customer care services now include an innovative live chat method for contacting your payroll specialists. AmCheck is a 100% cloud-based payroll processor. The company has plans that suit small, medium, and large businesses, which means they can grow with your company. 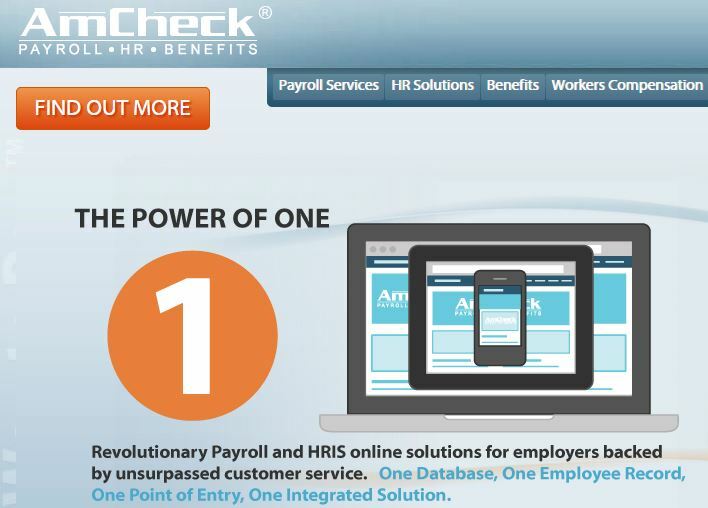 While AmCheck’s specialty is its extensive payroll processing service, the company also offers HR and benefits management solutions should your business also need those services. It is often (though not always) cheaper to have all your HR services in one convenient plan. Onpay has a simple price calculator on the front page that can help you determine the price of your package instantly by simply adjusting the slider between 1 and 99 to reflect the number of your employees. Onpay is geared toward small businesses with under 100 employees, and its payroll services are delivered in a simple, easy to understand format. 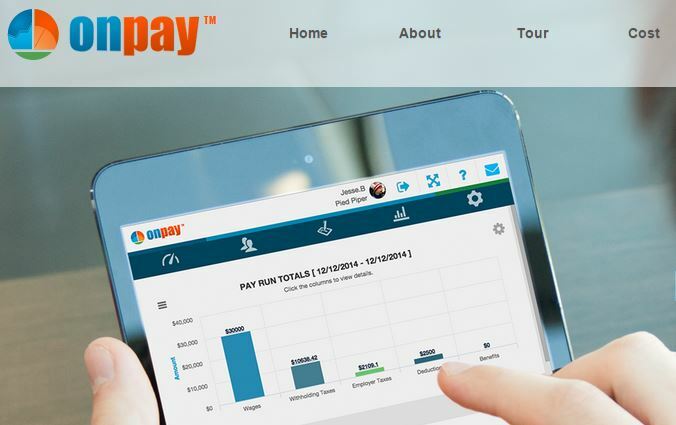 While many other payroll processors offer services that can accommodate small businesses, Onpay adjusts its pricing according to your size and finds that the average small business with 10 employees saves $2,200.00 per year using Onpay. 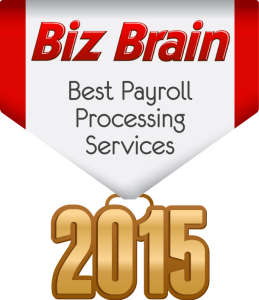 MyPayrollHR is one of the top payroll service solutions on the market. This company’s payroll services are entirely cloud based and designed for business owners and managers with little HR experience. This payroll processing provider offers online resources, and timely ways to get in touch with your payroll specialists when needed. 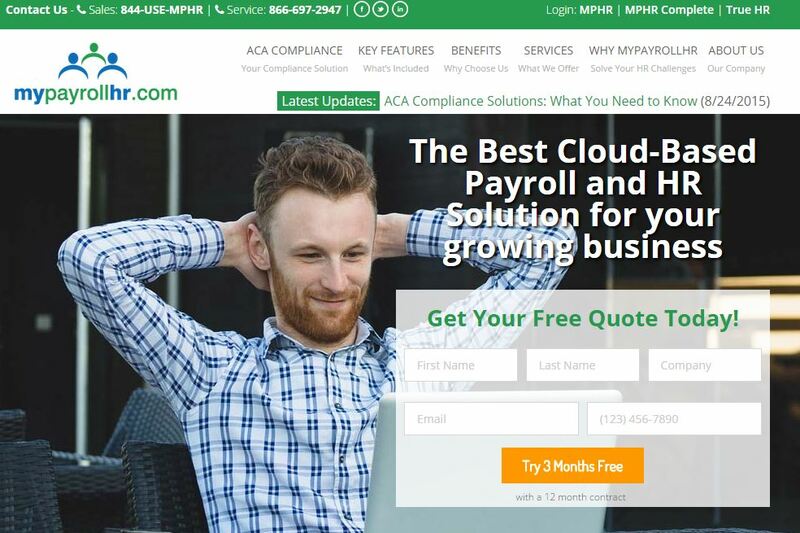 MyPayrollHR will also help you achieve and maintain ACA compliance. APS Payroll offers online payroll processing services, workforce management solutions, and time & attendance tracking services. APS prides itself on offering cutting edge, cloud-based, secure payroll services to customers of all sizes. While you can just contract the payroll services if that is all you need, the company strives to fully integrate its payroll and HR tools to make your life easier. BenefitMall is another company offering high quality payroll services. 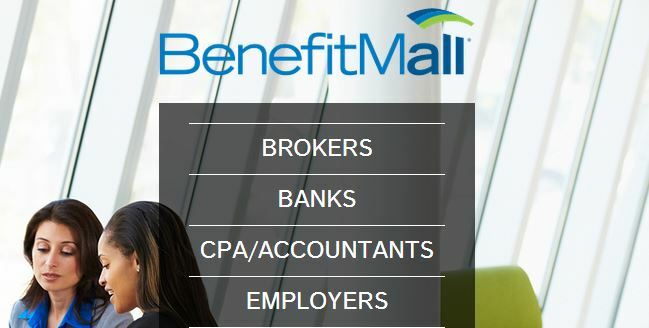 BenefitMall, in addition to its payroll services offers many other business management services including compliance, insurance, and human resources. The company offers three main levels of payroll services, including a call and fax method that lets you deal with a payroll specialist directly. There are also options for basic and advanced online payroll processing. 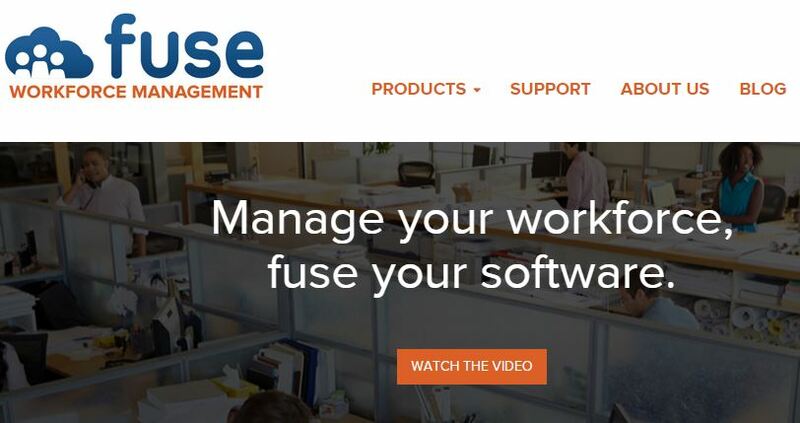 The company formerly known as ProPayroll is now Fuse Workforce Management. The name change reflects the company’s expansion from one of the country’s best payroll services, into a full fledged cloud based business management software and services company. Fuse continues to be a leader in cloud based payroll processing services, and now offers many business management services your company might need. IOIPay is a full scale HR outsourcing company; providing payroll, human resources, & employer services. IOIPay offers an extensive selection of resources to clients including calculators, forms, training, newsletters, and tax alerts. The company was started as a small, regional payroll company in the 1980s and has grown to serve over 6,000 clients around the United States. 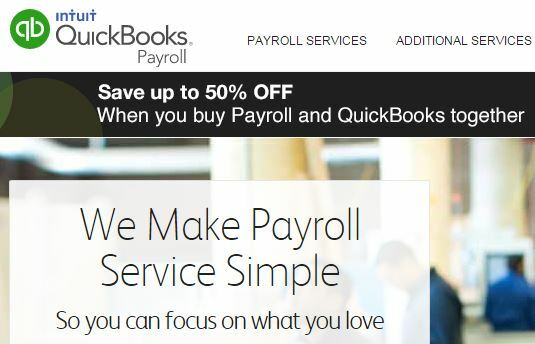 Intuit offers both do it yourself, and full service payroll processing options. The top tier is only $99.00 per month plus $2 per employee per month and it includes extensive compliance services. Intuit strives to make your payroll as simple as possible, so you can focus on your business. The customer support available from Intuit is also some of the best in the business, featuring videos, FAQs, and an active user community. ADP is a full service payroll company that offers a variety of services in addition to payroll processing. 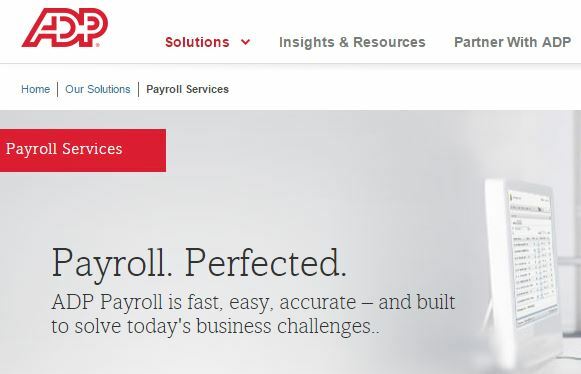 ADP’s payroll is designed to make managing your payroll faster, and easier. The company also offers solutions in benefits administration, retirement services, insurance services, and more. ADP has three tiers of service that cater to small, medium, and large businesses, enabling them to serve your current needs, and grow with your company when necessary. The essential features offered by payroll services will save you time, headaches, and provide you with prompt, helpful customer service solutions. We have identified 20 essential features of payroll services across four main categories, and used them to identify the best payroll processors in the business. This list is designed to help guide you as you examine the strengths and weaknesses of each solution.